Owensboro is Kentucky̠s fourth largest city. Located on the Ohio River, it is the cultural, medical, retail, and business hub for northwestern Kentucky. It is home to several unique attractions, such as the RiverPark Center performing arts and civic center, the Owensboro Symphony Orchestra, the Owensboro Museum of Fine Art, the Owensboro Museum of Science and History, the International Bluegrass Music Museum, and the Western Kentucky Botanical Garden. In November 2009 Owensboro was named as a one of ̫America̠s Best Places to Raise Your Kidș by Business Week based on the city̠s educational opportunities, atmosphere, crime rates, cultural opportunities, career access, and housing. Owensboro has the distinction of being known as ̫Kentucky̠s #1 Sports Town̦ according to Sports Illustrated. It is also a Learning Community, a place that believes in lifelong education, with two award winning public school districts and a highly successful parochial school system. In addition to OCTC, Owensboro is home to Kentucky Wesleyan College, Brescia University, and a branch campus of Western Kentucky University. Called Kentucky̠s Festival City, Owensboro holds over twenty annual festivals and events. From barbeque to bluegrass, from fine arts to fine dining, from festivals to Broadway shows, Owensboro offers something for everyone! OCTC awards associate degrees, diplomas, and certificates in a variety of disciplines. 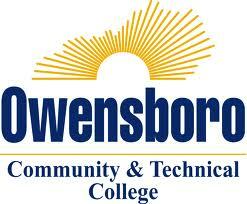 Owensboro Community & Technical College is a public, two-year community and technical college accredited by the Southern Association of Colleges and Schools (SACS) and one of the sixteen colleges that make up the Kentucky Community & Technical College System (KCTCS).